So many people have experienced disaster with Microsoft’s Window 10 that many are, not only furious, but are seeking financial restitution from the software giant. Perhaps the major problem people have been experiencing for the last year has been the fact that Windows 10 will just bully its way into an update without notification or any real way to prevent it. Even when the pop up shows up, if you click on the “x” to eliminate and decline the update, doing that actually tells the software to load. In many cases, after this forced update, people have reported that many of their computer’s functions are no longer working as well, in many other cases, that their computers aren’t working at all any longer. Recent research has revealed that at least 12%-15% of people who ended up with a Windows 10 upgrade deleted it and returned to an earlier version of the operating system. Many believe this figure to be extremely low. Some tech writers have reported as many as 40 distinct nightmare problems with the Windows 10 operating system including PC’s freezing up and/or crashing, email’s lost, files destroyed, webcam malfunctions, speaker problems, inability to connect to a wi-fi network and dozens more. 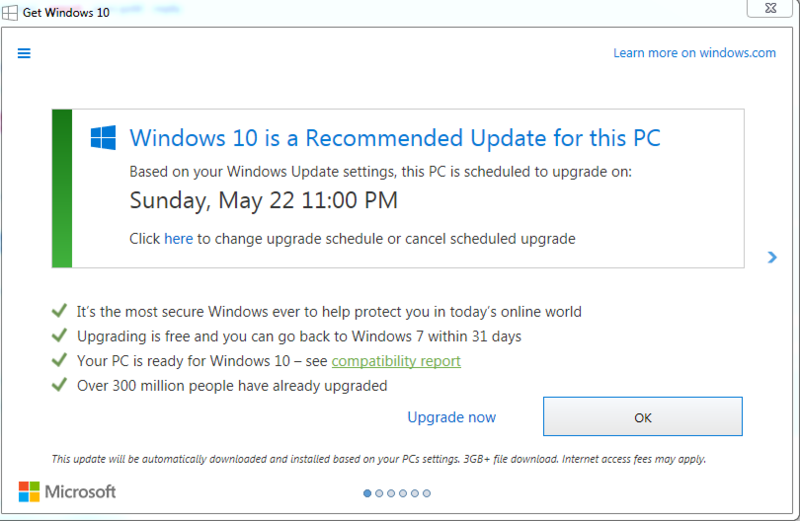 Even Microsoft itself has admitted at its site that computers will freeze up when the update is installed. Here’s the good part: click on the “x” to eliminate it and decline? 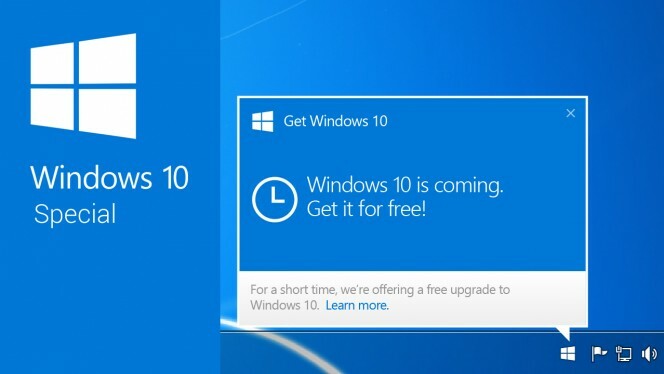 No, clicking on the “x” will actually begin installing the Windows 10 update. 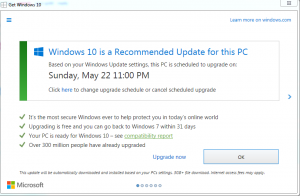 If you have been experiencing problems with Windows 10, you are not alone. Wander out to most any social media site, especially Reddit, and you will find literally thousands of complaints in comments sections all around the Web. Microsoft, of course, being everyone’s mother, just wants everyone to enjoy the new security features and productivity upgrades. Microsoft wants you to not only eat your brussels sprouts but like them, too. In addition, the company claims that their customer support people will be glad to help but the complaints against Microsoft’s support people and system is so legion that it would take a book length piece to even attempt to get a handle on it. The one bright spot seems to be actual help from the government by way of the Consumer Rights Act of 2015. According to this law, any digital content that a citizen is not more than happy with is entitled to, by law, to have that replaced for free or fixed to the consumer’s satisfaction. If not, the lawyers may have to be called in. Some, it seems, are doing just that and many are attacking the software giant on their own and making demands for reparations. One person named Teri Goldstein complained that Microsoft’s much balleyhooed customer service monster ignored complaints and offered no help after Goldstein’s computer had crashed and been inoperable for days. She sued Microsoft in small claims court as she told the judge that her computer was critical to her making a living and that the Windows 10 update disaster had cost her at least $17,000 in lost business. Microsoft settled with Goldstein to the tune of $10,000.